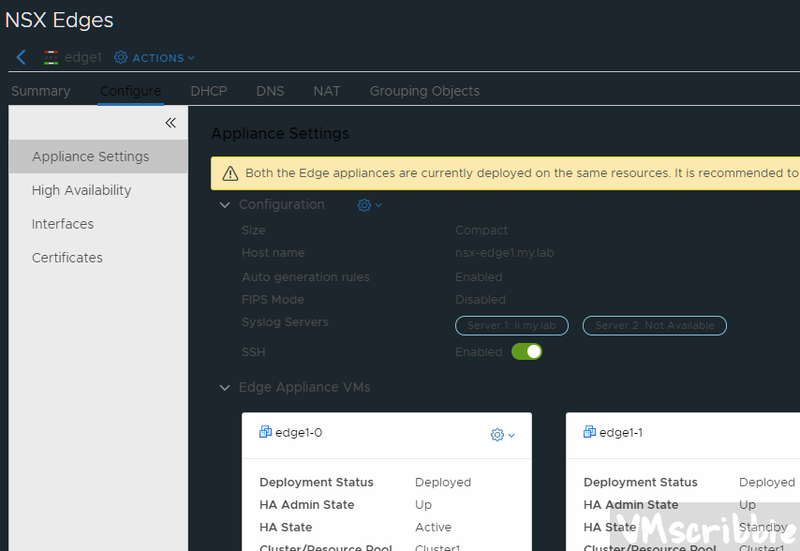 Changing the NSX Edge Services Gateway (ESG) “admin” user is easy via the web client “Change CLI Credentials”. The root password is unknown. SSH into the NSX Manager as the admin user. Make sure SSH is enabled on the Edge in scope. Why the console? You can not enable engineering mode via SSH. ERROR: This command is only available from console. At the console, login as the admin user. 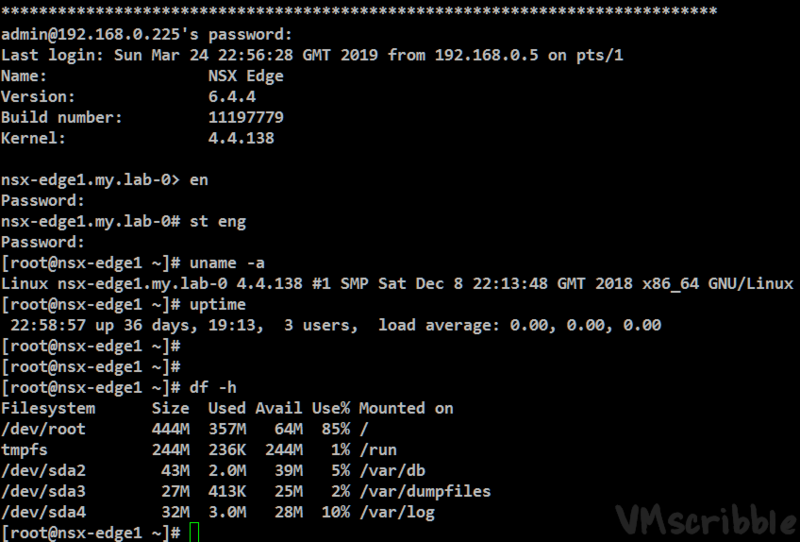 SSH into the edge active VM. The password is the root one found from the GetSpockEdgePassword.sh output.